Have you tried nail vinyls yet? They’re so easy to use and gives a mani just a little bit extra. For this mani I started with two coats of Nymph (423/507) by El Corazon and topped it with one coat of fast drying top coat (HK Girl by Glisten & Glow). The mermaid scale vinyls are from What’s Up Nails. I used a make up sponge to apply the following polishes after I applied the vinyls: 509a, and Magic Attraction (423/554) by El Corazon. One coat of top coat and done! 🙂 El Corazon polishes are currently on sale at Hypnotic Polish! The vinyls can be found here. Here’s a subtle gradient created with Magic Purple Charm (423/552) as my base color and Amethyst (423/469) on the tips of my nails. Both polishes are by El Corazon. I think the shimmery tips complements the sheer base color very well. Grab your Corazon’s at their website or at Hypnotic Polish (worldwide shipping). 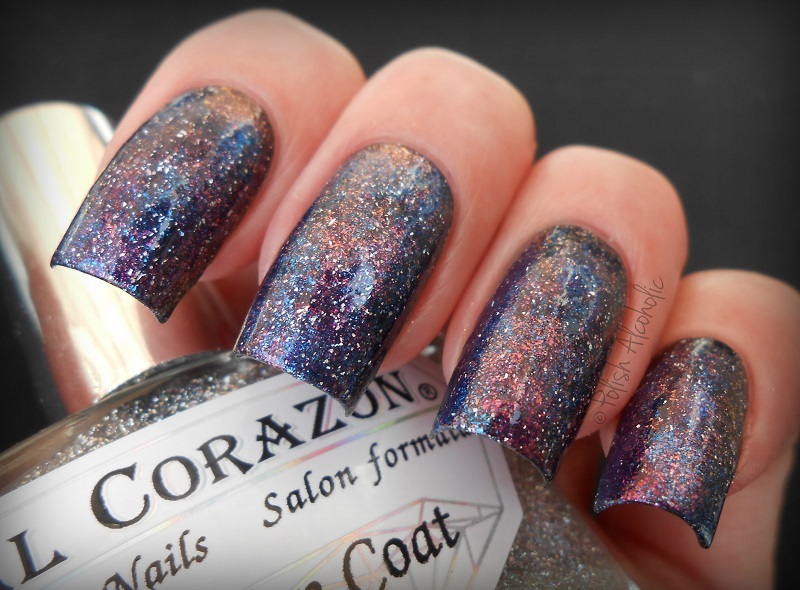 Today I have a polish from El Corazon‘s Confetti Collection to show you. 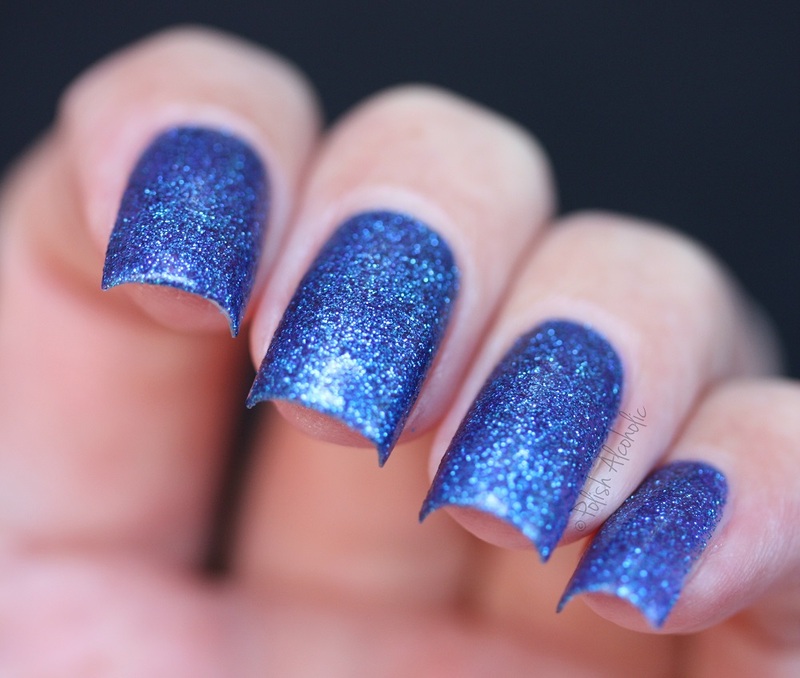 This one doesn’t have a name, only a number: 509a If you’re a fan of blue polish, this is definitely worth checking out. Shown is three thin coats plus top coat. The formula is nice and easy to work with. And although I expected it to have a slight texture to it, the finish is nice and glossy with one coat of top coat. You can find El Corazon polishes at their website and at Hypnotic Polish. Here’s a creation by El Corazon for you today. Meet Magic spirit Of Fire (423/582) from the Magic Collection: There’s gorgeous purple/pink shimmer in there 🙂 I used two easy coats plus top coat here. The Magic Collection is available at El Corazon‘s website and at Hypnotic Polish. Today I have another El Corazon polish to show you. 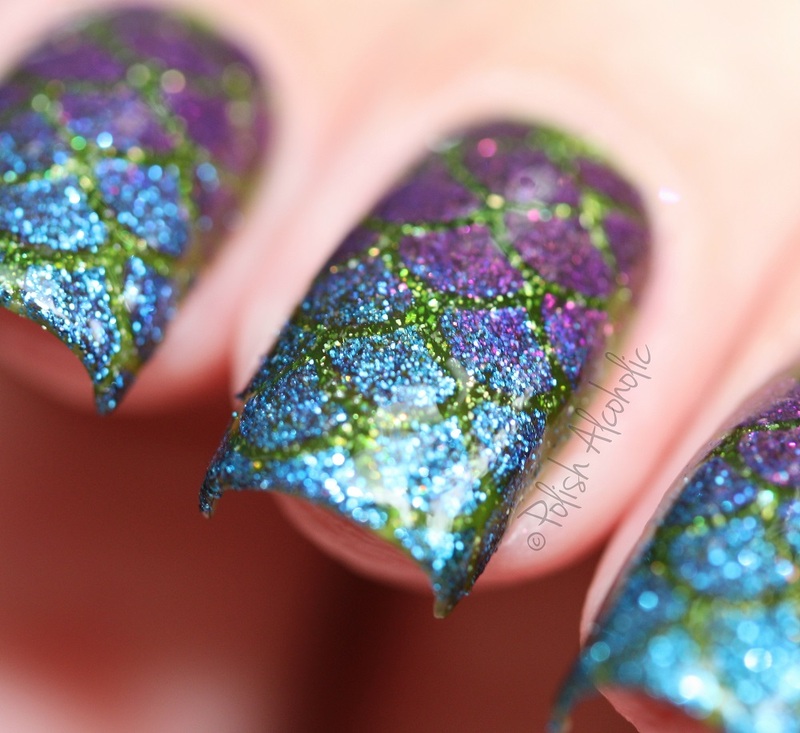 This is three thin coats of number 423/530 from the Large Hologram Collection. I love this collection because of the outrageous amount of holographic particles the polishes have. And the best part is, they aren’t glitter which means easy removal 🙂 This one is a bit sheer. You can still see some slight visible nail line. With this shade I don’t mind that. Take a look at all the sparkleness when the sun hits it: Lovely, isn’t it?! El Corazon polishes can be found at their website and at Hypnotic Polish. 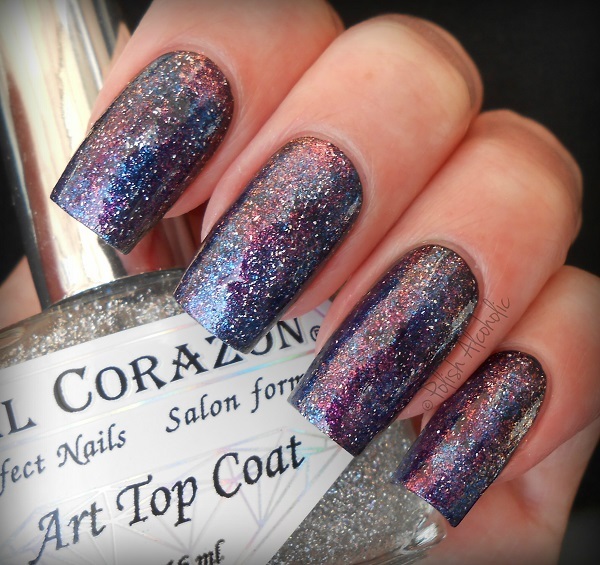 To create an even more galaxy look I topped this with the large hologram top coat (421h/25), also by El Corazon. What do you think of this galaxy look? El Corazon polishes are available at their website and at Hypnotic Polish.